What's the State of Cape Cod Real Estate? 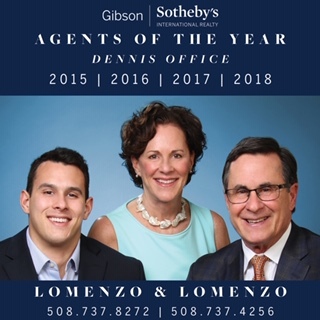 - Lomenzo Properties, Inc.
On Wednesday morning this week, readers of the Cape Cod Times were greeted with a front page article about the current state of the Cape Cod real estate market. As reported, year-to-year January sales Cape-wide indicated a significant decline in unit sales and median prices. In the mid-Cape area specifically, unit sales declined by 25% and median prices declined by 22%, compared to Cape-wide statistics of -28% in property sales and a 15% decline in median price. No matter what the "experts" say, we remain committed to our marketing campaign on behalf of our Seller clients and have recently experienced a significant increase in buyer activity. In our experience, and this year has been no exception, the "Spring market" on Cape Cod begins on Super Bowl Monday which has just passed. We here at Lomenzo Properties look forward to a very vibrant Spring market. As always, we'll keep you posted on changes in market conditions.